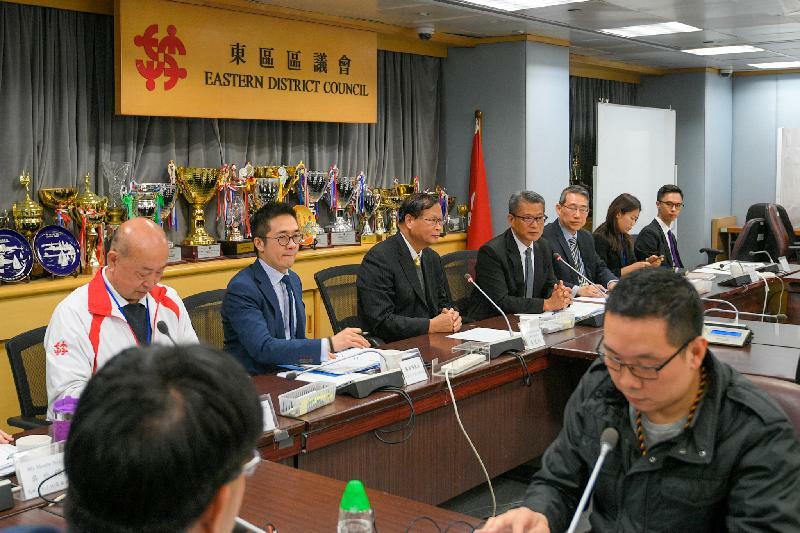 The Financial Secretary, Mr Paul Chan, visited Eastern District this afternoon (January 11), where he called at a primary school, visited some hawker stalls and met with members of the Eastern District Council (EDC) to learn more about the district's latest developments and needs. Accompanied by the Chairman of the EDC, Mr Wong Kin-pan, and the District Officer (Eastern), Mr Simon Chan, Mr Chan first visited Aldrich Bay Government Primary School. 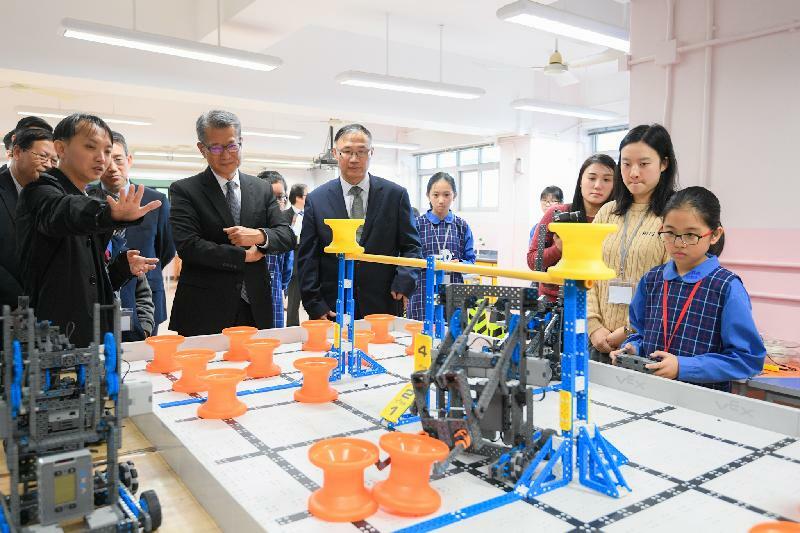 Mr Chan chatted with students and parents and observed school projects related to music, STEM (science, technology, engineering and mathematics) and environmental protection. 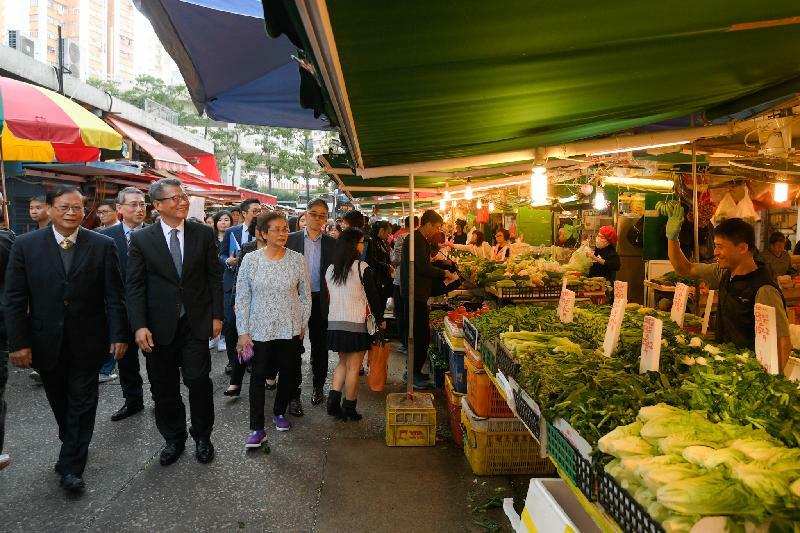 He then visited the Hong Kong Vegetable Food and Grocery Hawkers Welfare and Fraternity Association Limited and met with hawker representatives to learn more about the hawkers' business environment. 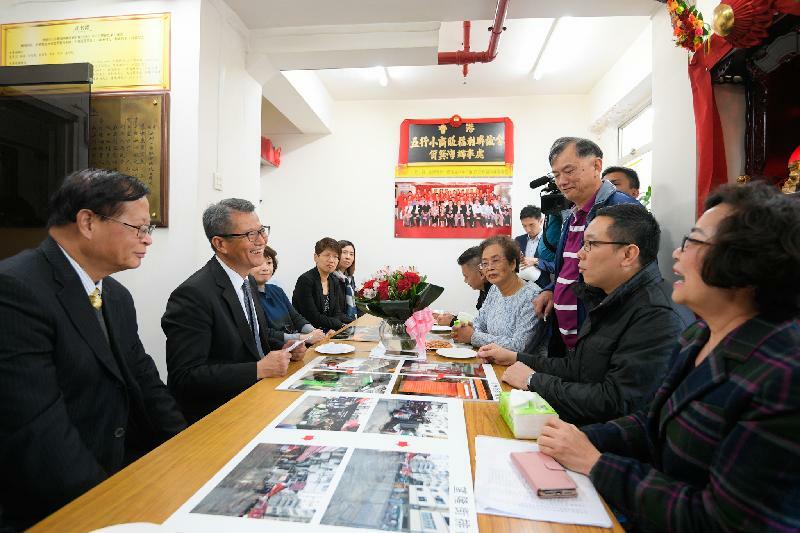 He also walked along Kam Wa Street, visited hawker stalls and listened to the views of business operators and other members of the community on the 2019-20 Budget. Before concluding the visit, Mr Chan met with members of the EDC to exchange views on various livelihood and development issues in the district.